Throughout the month of JULY, come to Leckenby’s Licensed Tearoom….spend £20 or more….and you’ll receive FREE PARKING in the MILL GATE CAR PARK! Just take your receipt to Customer Services, just down Minden Parade, and they’ll exchange that for a Free parking disc. Couldn’t be easier. 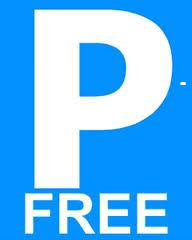 Great food and Free parking…what a bargain!